Home › Tools › Is Survey Junkie Legit Or A Scam? Now, I will be totally honest with you. I don’t particularly like surveys. I find them tedious and frustrating to say the least and more importantly you won’t get rich doing them. Now…bare in mind, some people just love doing surveys. I don’t knock people that enjoy doing them. Me not being one of these people. I’d rather write an article or post and have the post work for me until the day I die. See the difference? Do a survey, and it just pays you for that one piece of time you spent on it, create and maintain a website, and it continually pays you. But maybe you’re not there yet. For those of you who are ready for wealth ascension, I suggest you take a look at my review of Wealthy Affiliate. You will be working for yourself and not anybody else. Enough of that, let’s stay focused on Survey Junkie. Survey Junkie probably is the largest out of all the surveys site having over 4 million registered members. To get started at Survey Junkie you will have to fill out your profile…don’t worry you get points for this, which is nice and gets you earning right away. Once that is filled out you can start taking surveys. But if you are serious about going deep into the survey well, I highly recommend you fill out all the Profiles you can under My Profiles, as there are seven currently in which to fill out. The more you do, the more opportunity is going to come your way in the form of surveys. You’re probably wondering how many points do I need to cash out. Well, you need at least 1,000 points, which is equivalent to $10.00 to cash out. They have a circle which indicates how much of the circle you have completed to earn the $10.00 to be able to redeem, as well as your current points within the circle. It’s easy to understand. So, each point is worth $0.01. Keep that in mind when looking at what a survey pays. The average time it takes for a survey is 15 minutes. Thereby, you will have enough information for yourself to determine what your getting paid for hourly. Once you have accumulated enough points, you can either take your payment from PayPal or have it in an E-Gift card from a favorite business. There are three ways to earn points at Survey Junkie. How Much Will You Be Paid For A Survey? Now, keep in mind each survey pays differently and requires a different amount of time in which to complete. But on average it will pay about $1.00 to $3.00 per completed survey. How To Join Survey Junkie? The great thing about Survey Junkie it is FREE to join. There is an age requirement though; you must be at least 18 years of age and a U.S.A., Canada, or an Australian citizen. Create An Survey Junkie Account Now! By either creating using your Facebook or G+ account or signing up with a username and password. Rock solid reputation in the world of online surveys. Transparency!!!! Most surveys are clearly marked as to how many points they are worth and a rough estimate of the time it takes to complete the survey. No shortage of surveys in which to take part in. The ability to work from your own home, online and earn extra cash. SJ claims to have over 3 million members. Holy S$#%!! The ability to earn money anywhere and at any time of the day. They have an affiliate program. To help support my website, please visit my link here, Join Survey Junkie. Can take surveys on your desktop, phone or tablet. Two methods of payout, the all-important PayPal payout or various popular gift cards. Easy to find Help button for access to find help if needed. Pretty honest site, for example, they clearly state that you won’t get rich filling out surveys at Survey Junkie. It’s merely just earning extra income. Being paid for your opinion. Usually, this isn’t the case. Overall the surveys are easy to take. A lot better than others I have tried, and I really hate taking surveys. The options to complete other profiles to increase your chances of receiving more surveys that pay with more points. They have a blog, which is always a nice feature and a great way to find out what a company is all about indeterminately. Email Alerts of new surveys and the number of points there are worth. Great way to stay on top of surveys. As with any survey site, your not going to get rich by filling out surveys, but you can make a little spending money for yourself. If you’re looking to earn more money than what surveys can provide, I suggest you head on over to my Wealthy Affiliate Review. My highest ranked way to make money online. You are giving up your time as well as your private information, just be aware of this, if you are not. Poor time to the amount you are paid for time spent filling out surveys. Keeping it real, folks! Point system, just not a fan of the points system. As you can convert points into cash or e-gift cards. Only US, UK, Canada and Australia residents are eligible for sign-up. You need a minimum of $10.00 or 1000 pts. to qualify for being able to receive money. Must be at least 18 years of age to join Survey Junkie. Surveys invitations are sent to your inbox. No!!! Not more email clutter. E-cards are only available in the U.S. The possibility of getting fewer surveys based on your own personal demographics, as some surveys are limited to a specific demographics. You will be probably asked the same questions over and over again in which you must answer. They do this to ensure you are thoroughly reading and responding honestly. Must stay active or points will disappear. 12 month no activity or surveys taken is when this will occur. Decide how much your time is worth to you. Then determine if doing surveys is right for you. You must complete your first five tasks before taking any surveys; luckily they pay you at various points to perform these tasks. Be honest and truthful when answering your question. This will help in the long run for both you and Survey Junkie. Some surveys will open in a new window. Do not close this until the survey is fully complete. The referral program is another way to earn at SJ. Share on your blog or social media sites, as well as email to get others to sign up under you. If you have completed a survey and haven’t been credited the points, by all means, contact Survey Junkie and let them know. 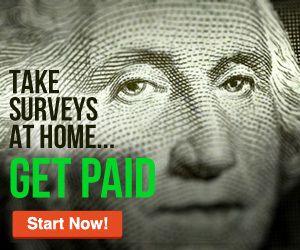 Click Get Higher Paying Surveys and complete all the Profiles that are located on this page. This will significantly increase the number of surveys you will see as well as increase the amount you are paid for surveys. Under your Profile picture, you can click Tutorials. They show you how Surveys work as well as maximizing your earnings. Dealspotr – Although not a survey site, it is a least to me, a very enjoyable and PAYS BETTER and EASIER compared to survey sites. Plus you’re helping other people save money. Check it out, I really love this site, read my full review here, What Is Dealspotr About? SuperPay.Me – You can read my in-depth review here, Is Superpay Me A Scam? InboxDollars – You can read my in-depth review here, An InboxDollars Review. Swagbucks – You can read my full review here, Is Swagbucks Legit? Legerweb – You can read my full review here, What Is Legerweb? Who is Survey Junkie for? 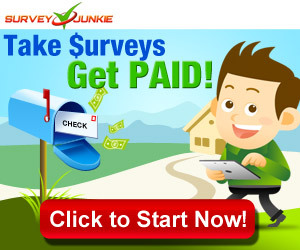 Survey Junkie is for someone looking for extra income, as you will not make a lot of money here. Even Survey Junkie states this fact on its website. So, if you’re looking for a way to earn extra money from the comfort of your own home. Give Survey Junkie a try. They have tutorials underneath your profile picture to help better fully understand and increase your earnings. SJ has excellent support in place, from their ticketing system and FAQ. To find the support it is located at the top of the screen called Help once you have successfully signed up and logged on. There are complaints on the internet surrounding Survey Junkie, but all companies will have complaints regardless of how well they are run. Survey Junkie is no different. They can be trusted overall to receive payment once you reach the 1000 points level. It is by no means a scam. They are a stable and trustworthy company. But it is up to the individual to determine if it is worth their time. This would be a meager paying job. You are exchanging your time and personal information for little pay. The only way to find if you don’t mind doing surveys is to do a few of them. It will become apparently clear whether or not you will enjoy the survey taking process. Me…I do NOT! The thought of underpaying me for my time is counterproductive in theory to me. I would much rather work for myself. See below if you would want to work for yourself creating your own business around what you already like. Agreed. I actually despise surveys but I completely understand some people enjoy them, even though the low return (money) of time spent doing them. There are better options available.